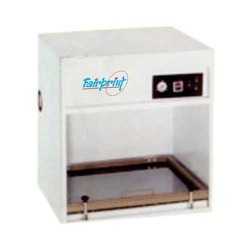 Providing you the best range of mini plate exposure machine, instant plate exposure machine, metal halide plate exposure, instant start metal halide plate exposure and exposure machine with effective & timely delivery. 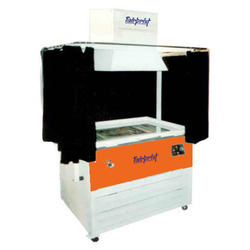 With the help of our distinguished professionals, we have been able to bring forth Mini Plate Exposure Machine. In the manufacturing process, we make use of optimum quality components in the manufacturing process. 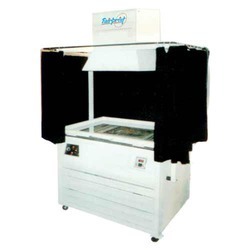 Post-production, these machines are inspected on certain parameters to ensure their defect-free nature. With thorough industry knowledge, we are engaged in trading a wide range of Instant Plate Exposure Machine. Excellent quality components and advanced technology are employed in the manufacturing process following industry set guidelines. To meet diverse requirements of clients, we offer these machines in a spectrum of specifications. Size 15"x 20" 16"x 22" 20" x 30" 23"x 36" 30"x 40" 30"x 40" 30"x 40"
Lamp Power 400 W x 1 No. 400 W x 1 No. 400 W x 2 Nos. 400 W x 2 Nos. 400 W x 2 Nos. 1 KVA x 1 No. 3 KVA x 1 No. With thorough industry knowledge, we are engaged in trading a wide range of Metal Halide Plate Exposure. Excellent quality components and advanced technology are employed in the manufacturing process following industry set guidelines. To meet diverse requirements of clients, we offer these machines in a spectrum of specifications. 400 W x 1 No. 400 W x 2 Nos. 1 KVA x 1 No. 3 KVA x 1 No. With thorough industry knowledge, we are engaged in trading a wide range of Instant Start Metal Halide Plate Exposure. Excellent quality components and advanced technology are employed in the manufacturing process following industry set guidelines. To meet diverse requirements of clients, we offer these machines in a spectrum of specifications. With the help of our distinguished professionals, we have been able to bring forth Exposure Machine. In the manufacturing process, we make use of optimum quality components in the manufacturing process. 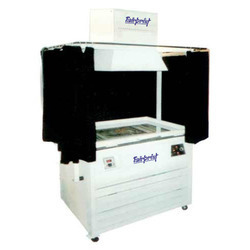 Post-production, these machines are inspected on certain parameters to ensure their defect-free nature.